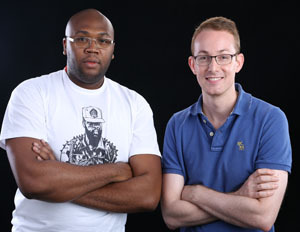 Today, Web entrepreneurs of iROKOtv and Nollywood fame, JasonÂ Njoku andÂ Bastian Gotter, have initiated $1 million in investment for Nigerian tech startups with the official launch ofÂ SPARK. Based in Lagos, Nigeria, the company will support and develop aspiring tech and Internet entrepreneurs and is set to fill the vacuum that currently exists in Africa’s angel investment eco-system. SPARK-funded companies, managed by Njoku, Gotter and Mary Remmy-Njoku, will share the same administrative infrastructure, legal teams, mentors and marketing support. The company will focus on well-defined and scalable revenue models and has, to-date, seed funded or createdÂ 13 startups, including a travel lodging site, a Christian dating site and a property rental site. Companies in the SPARK network currently employ 80 people and SPARK also plans to expand to create or fund 7 more companies by the end of this year. In an exclusive interview with BlackEnterprise.com, Njoku talked further about what SPARK means for Africa, who will benefit and why he and his partners—including his wife, Mary—are committed to expanding the reach of technological advances and opportunities on the continent. 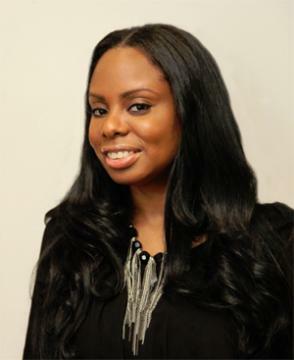 BlackEnterprise.com: What was the motivation to invest in startup resources for Nigerian entrepreneurs? Njoku: When I was starting out with my online Nollywood business idea back in 2010, no one would take me seriously. None of my Nigerian friends who knew about Nollywood, or people who had the disposable income who could have been potential investors, would invest in me or my ‘crazy’ idea of bringing Nigerian cinema to a Diaspora audience online. Getting a loan from a Nigerian bank? Forget it. They don’t lend to young start-up companies or entrepreneurs and even if they did, their interest rates are outrageous. It was my best friend from University, Bastian Gotter, who saw the potential in what I was working on. He seed-funded me all the way from living at home with my mom in London to an office and full team in Lagos. … The business would never, without a doubt, have happened without Bastian. Â I was lucky I had a friend who could provide not only capital, but also business expertise and support, but how many people out here in Nigeria have a friend like Bastian? Very very few indeed. The launch of iROKOtv took me all around Africa, and I met a lot of young, creative, talented people all thirsty for a chance at being an entrepreneur. They had one thing in common; no access to capital and no means of actually starting a serious business. Awesome ideas from talented young people were going to waste, which is where SPARK enters. Bastian and I, having seen the huge potential of the Internet and tech space in Nigeria, decided to set up a company that helps build companie— like iROKOtv in its earliest days — to become awesome Nigerian businesses of the future. Have the 7 remaining startups SPARK plans to work with already been identified or chosen? If not, what groups will benefit from this? We have so far identified 13 startups. They range from a cool t-shirt company to a property rental site—online services that are the norm in the West, but don’t really exist in Nigeria—until now. In our experience, the Internet is a young person’s game, so we’re working mostly with young people who understand the sector and who have the energy and willingness to put in the leg work. However, we are not focusing on any one particular group and we don’t discriminate. If you come to us with an awesome idea for an Internet company in Nigeria, that fills a gap in the market and that we can develop and monetize, then we can have a discussion. Talent wins at SPARK. If you have it in abundance, we can make some magic happen. What stake does SPARK have, if any, in these companies after initial capital and non-tangible (ie. resource) investment? In cases where the opportunities are big but there is no one working on it, SPARK creates the company and hires a team to run it. In that case SPARK will own 100%. After an initial period, the team is given share options based on performance. We’re flexible enough to tailor our business models, depending on what is required at the time. People should come to us via www.spark.ng with big ideas, energy, passion, an in-depth understanding of the market they want to conquer, and, [most] importantly, a means of monetizing their ideas. In the West, VCs and angel investors will fund ideas that don’t have an immediate revenue model. We don’t have this luxury in Nigeria, so the people we work with must have a business brain as well as creative talent. We don’t insist upon qualifications, although many of the people we’re working with have gone through the University route. We don’t do huge PowerPoint decks; (Who has the time to go through 90 pages of pictures, key objectives and graphs?) Instead, we like having a series of conversations with people to find out how we can work together.